Above: EXCELLENCE magazine (current November 2015 issue) has William Edgar’s 5-page feature article “Heavyweight Lightweight” about Bob Bailey’s Porsche 911L Under-2-Liter SCCA Trans-Am race car that first owner Bailey raced in 1968-69 and today, after assorted homes and restorations, owns for a second time and road rallies with his son Cannon Bailey. 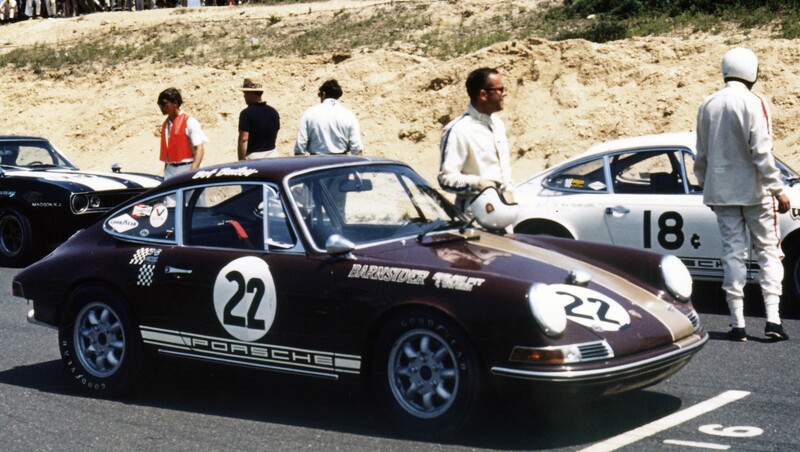 Photo Courtesy Bob Bailey Collection: Bob Bailey standing with his 911L on grid at the Bridgehampton Trans-Am race of June 23, 1968. Below: VINTAGE MOTORSPORT magazine (current Sep/Oct 2015 issue) has Edgar’s 6-page feature article “The General Kilpatrick Speedster Lives On” about Ernie Nagamatsu’s “Number Seven” 1958 Kilpatrick Porsche Speedster that survived 55,000 miles of road racing while owned and driven by California Air National Guard Brigadier General James R. Kilpatrick. Purchased in 1997 by Nagamatsu and restored to period racing specs and livery, the Speedster has returned to competition in today’s historic road racing. Photo Courtesy Ernie Nagamatsu Collection: Elaine Nagamatsu and her husband Ernie pose with the Kilpatrick Speedster and two more of their iconic FIA-certified race cars, Old Yeller II and a Shelby Cobra. 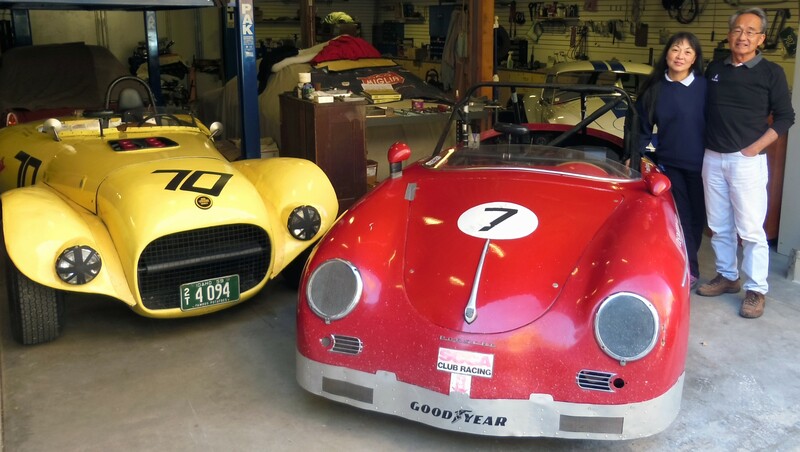 This entry was posted in Uncategorized and tagged Bob Bailey, Ernie Nagamatsu, Excellence magazine, Kilpatrick Speedster, Porsche 911L, Rennsport V, Vintage Motorsport magazine, William Edgar. Bookmark the permalink.